Restarting Windows Explorer in Windows 8 is very much similar to how we perform it in Windows 7 and Windows Vista. In some cases, when you install a program or when you open registry hack, you need to restart or log out Windows. However, if not restarted then installation may or sometimes may not proceed with further steps. 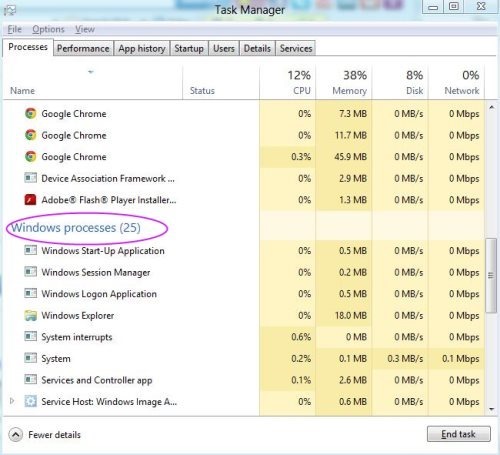 This tutorial guides you the entire Windows 8 restart Explorer process with the help of all new Windows 8 task manager. Press CTRL + SHIFT + ESC, while you are on any screen of Windows 8. Check out the following image is displayed on the screen. 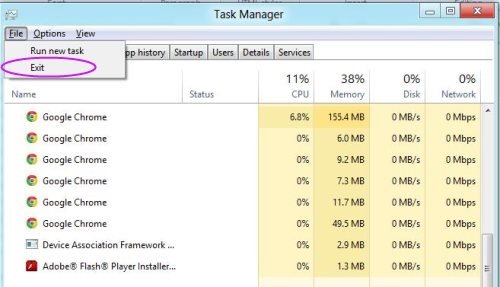 Click on “More Detail” to explore the complete interface of task manager. Keep in mind or check the processes tab is still active. Check out the “End task” option available at the right corner as, we had seen in Windows 7. Scroll the list of processes towards downside and look for “Windows Explorer” option. As, you select the “Windows Explorer” the “End Task” option turns to “Restart” option. 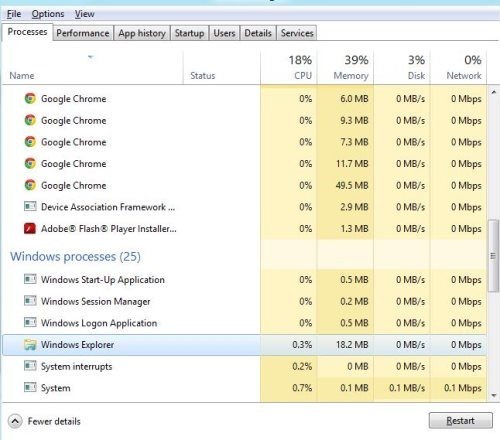 The explorer process closes down and again restarts automatically. To exit from task manager, explore the file option and then click on “Exit”. 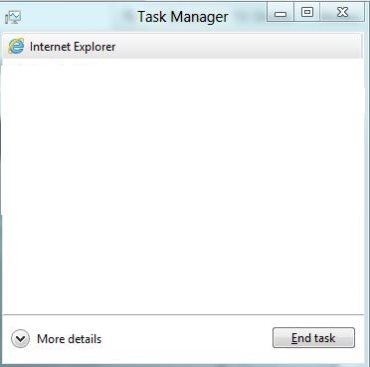 The task manager will exit from your screen. This process to restart Windows Explorer Process in Windows 8 with the help of task manager is short and precise procedure. An easiest process to perform..Go ahead and do it yourself..!